The young woman's hairstyle appears to be in small locs. The sides of her head are shaven. The Mursi people are known to have little or no hair on their heads. They often wear decorative headdresses. Similiarly, African-Americans often wear headbands, accessories, and locs. I think it's interesting to see that African-Americans and other people practice piercing their ears and lips. My own ears are pierced. Unlike the Mursi, mine are only for decoration. In the United States, parents often get their newborn baby girls' ears pierced for the same reason. 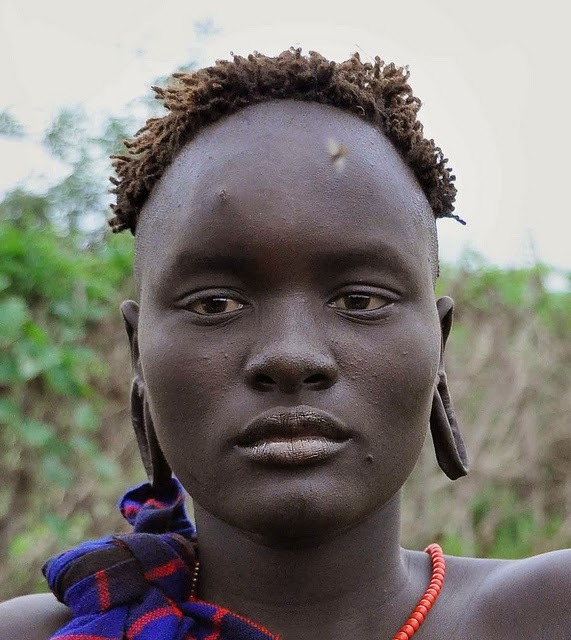 Although ear and lip stretching is practiced around the world, the Mursi have become well known for them. 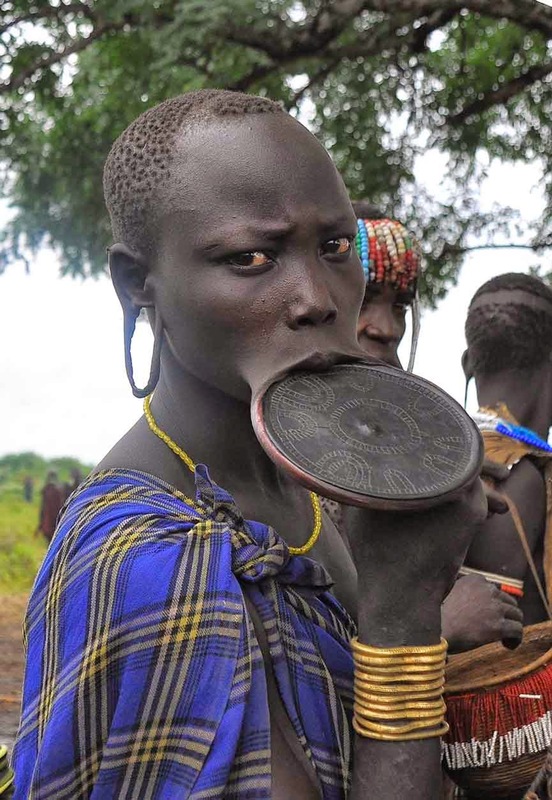 I remember being a young girl and seeing pictures of the Mursi women on the cover of National Geographic with their lips stretched by a discs. It shows that every culture has their own standards of beauty. If you could ask a Mursi women one thing, what would it be?